The exchange rate and uncertainty in the Eurozone remain the biggest negatives for red meat exports in the short term, but the outlook is still positive heading into next year. It’s very hard to pick what will happen in Europe which will inevitably have a large impact on lamb prices for the foreseeable future. Southern Europe and the UK are technically in recession and are unlikely to improve much, at least until the ECB manages to sort out how it will cope with the trials of Greece, Spain and others. . .
Craigmore Forestry Fund, which is managed by Forbes Elworthy’s Craigmore Sustainables, paid $2 million for 511 hectares land it wants to convert into forestry, as it looks to build plantations down the east coast of the North Island. The fund has built up 9,200 hectares of land running from the East Cape to Riversdale, where it plans to either manage existing forestry operations or plant trees on farming land, according to summary decisions from the Overseas Investment Office. . .
Canadian supporters of supply management note that they’re helping to protect Canadians from “permeate” milk. Or at least my Twitter friend from the Canadian Dairy Lobby keeps needling about use of permeate. Permeate is a concentrated byproduct from cheese-making that, in diluted form, can be added into fluid milk. You can also get it through ultrafiltration: ultra-filter the milk, then add stuff back in varying proportions depending on the blend you want to achieve. It’s relatively high in lactose, so it could make milk less friendly for those with lactose intolerance, but it otherwise seems pretty innocuous. Most supermarket milk in New Zealand uses permeate; it’s been a bit controversial in Australia. . .
Ravensdown, the 100% farmer-owned co-operative, has become the first NZ fertiliser company to surpass a billion dollars in revenue. The co-operative also helped shield shareholders from world price volatility for imports such as urea for a large part of the reporting period. Revenues for the year to 31st May 2012 were a record $1.07 billion, an increase of 15%. The co-operative plans to distribute $53.5 million to shareholders. This represents a total of $40.48 per tonne of fertiliser purchased which is made up of a rebate of $15.10 per tonne plus a bonus share issue of 17 shares per tonne (tax paid) valued at $25.38 per tonne. . .
Synlait Milk has scooped the Agri-Business Award in the Sensational Selwyn Awards, which recognise business excellence in the Selwyn District. Over 500 people attended the biennial awards dinner held on 28 July at the Lincoln Events Centre. Finalists for the award included Coppersfolly Limited and Ellesmere Transport Company Limited. 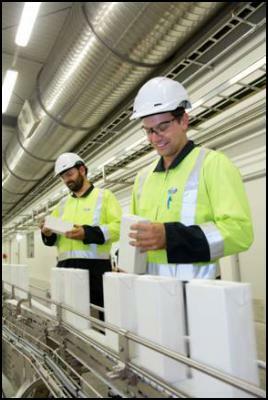 Since operations began in 2008, Synlait has grown to become one of Selwyn’s largest companies, processing over 500 million litres of milk a year from around 150 Canterbury farms, and employing 128 staff. . . The Federation of Māori Authorities represents New Zealand businesses with a combined asset base valued at NZ$8 billion, much of which comes from interests in seafood, forestry, dairy, sheep and beef, horticulture and energy. . .
Hawke’s Bay Regional Council’s compliance monitoring of dairy farms shows a marked increase in the level of full compliance. Full compliance is up to 80% across the region, with the majority of the 20% non-compliance being of a technical nature rather than having a direct adverse environmental effect. . .